What to expect at Tough Mudder? A regular Tough Mudder course is 10-12 miles long and includes 20-25 obstacles. As one might guess, when hearing the name: „mud” is the main theme here. Every Mudder that crosses the finish line to receive their finisher headband and a well-deserved beer, has not only bathed in dirt, but also overcome ice water, electric shocks (!) and various other nasty obstacles. This might sound like agony, but is actually, besides the athletic challenge, a hell of a lot of fun. 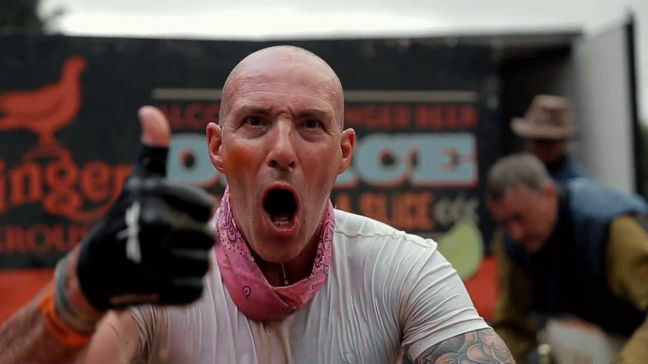 You don’t often get to see as many happy people as in the finishing area of a Tough Mudder event. It’s no surprise that lots of spectators can’t wait to be a part of it next time; to experience the same adrenaline rush they see in the other participants. Tage a look at the madness yourself! 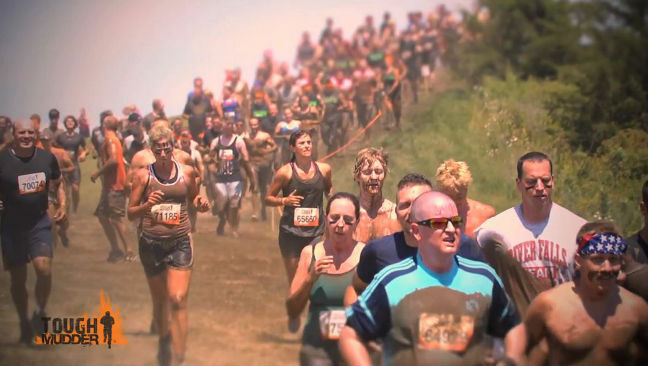 Of course, there are many other similar obstacle runs or „mud-runs”, but from our point of view, there is no other event organizer, that connects the two components of „sports” and „event” as skilfully as Tough Mudder. 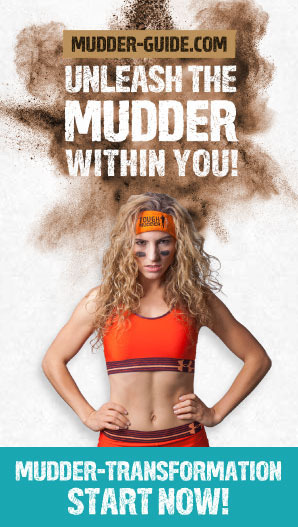 We, the Mudder Guide crew, are explicitly avowed fans of Mudder Nation! Taking part at Tough Mudder and just looking to beat personal records, isn’t quite what it’s all about – so if that’s your goal, Tough Mudder might not be quite the place to be for you. There are no time measurements or rankings at a regular Tough Mudder; there is no being against, but only with each other. The only opponent on course is your own weaker self. And if you’re having troubles defeating him, fellow Mudders will be there to help you. If you cross the finish line and met every challenge on the way, you are a winner, no matter the time! Tough Mudder is no place for lone warriors, only for team players. There will be no success without teamwork! 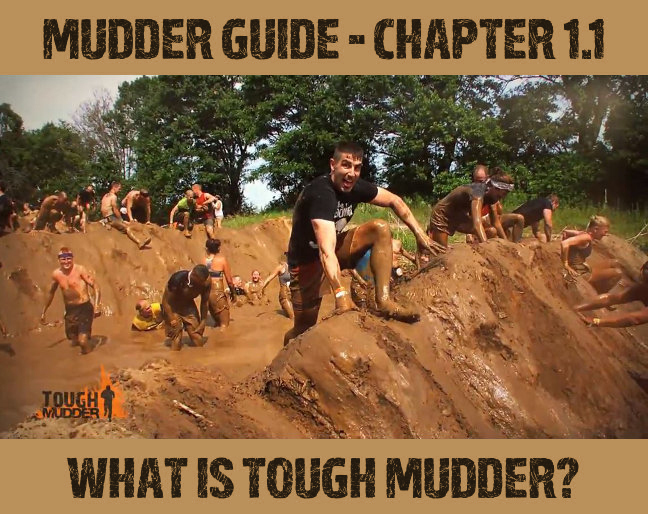 What does it take to complete a Tough Mudder? If you think, Tough Mudder is just a fun event – far from it! Without a certain amount of training diligence you will fail miserably. So by signing up for Tough Mudder, you also take the inevitable decision, to squeeze in a couple training sessions before the event. Should discipline be one of your weaknesses, training in a team might be worth considering. Training together is often more fun anyway. 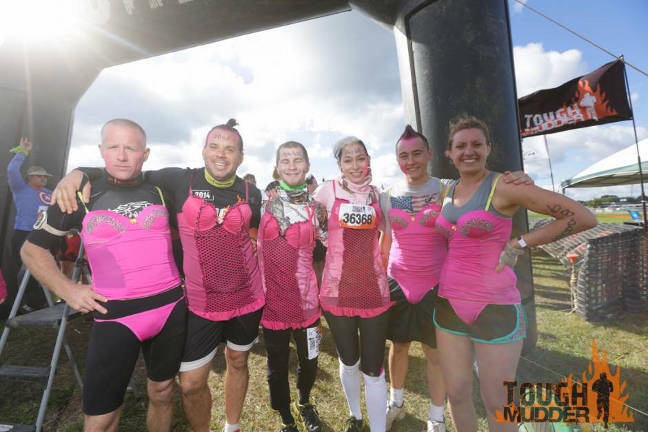 By the way, Tough Mudder is not a challenge for running geeks, nor for pure beefcakes – the target group is more the allrounder kind. Surely, a good physical condition can make completing a Tough Mudder easier, but depending on the course, you often enough come across routes that aren’t ideal for running at all. The course leads uphill, downhill and through knee-deep patches of mud. You won’t find many people running here. Nonetheless, our weightlifting friends should not neglect their running completely – after all, you can’t absolve 12 miles on your hands. Thanks to our free training program you will easily be able to focus on both aspects properly. Will Tough Mudder give me the thrill I am looking for? If your physical condition is relatively good already, you might be wondering if completing a Tough Mudder could be too boring for you. In that case, we can assure you that endurance and strength isn’t all you need. Some of the obstacles are challenging, even for the toughest Mudders amongst us. You might have to face some of your personal fears, such as fear of heights or electrical shocks. As you see, Tough Mudder is not comparable to any other regular run, it’s more of an adventure. Whoever takes part, usually wants to repeat this experience at some point. Many of us over and over again. It is almost a kind of addiction, because whatever you experience throughout the course, you won’t encounter in any other part of your life. Still not sure, if Tough Mudder is right for you? You're wondering how to fix liquid soap to your body, so that you can wash your hands after each obstacle. In your opinion the risk of an injury at Tough Mudder is way too high and it is probably healthier to sit on the couch. You’re interested in the obstacles, but you know, that all the people on the course will get in your way. For you, a competition that has no winner is not a competition. You’re annoyed by the fact that a sports activity always gets built up into a huge event. You expect at least a guarantee on good weather for such a high entry fee. You probably won’t be able to complete the course, because you will feel obliged to demonstrate for human rights as soon as you get to the electric obstacles. You are very concerned about keeping your feet dry. From your point of view, people in silly costumes shouldn’t be allowed to cross the start line. 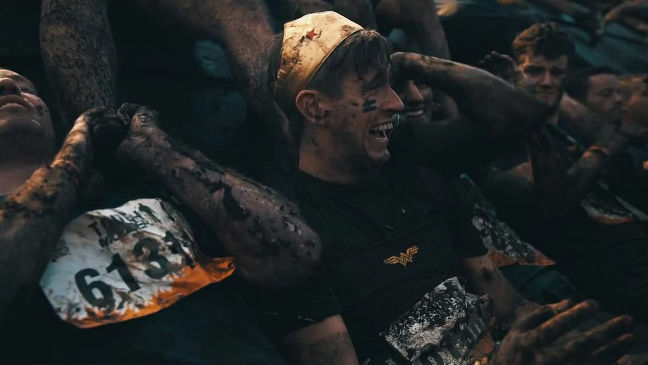 You find it illogical to not sign up for the army, but then pay money to crawl through mud in your free time. You agree with none of these statements?